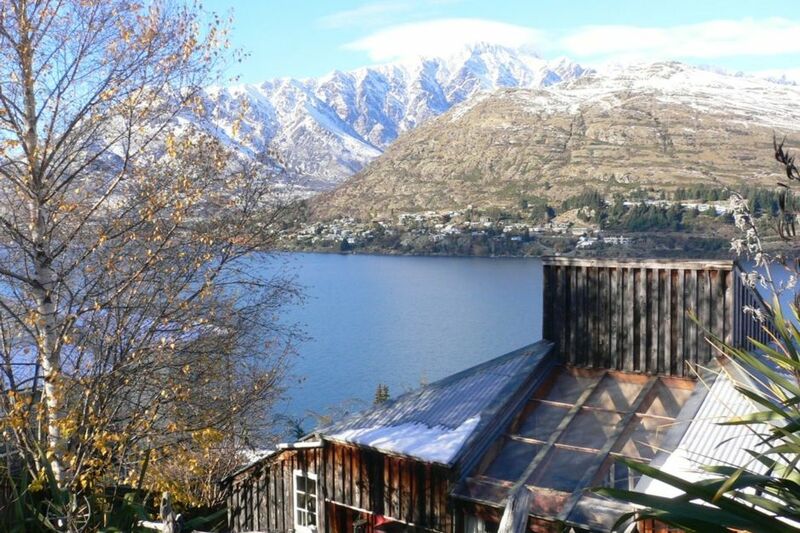 Queenstown Artist Home really is like no other. Visitors call it funky and very cool. There are truly beautiful lake and mountain views from almost every angle. The Artist home is a unique multi level stand alone house, with 3 bedrooms and a sunken lounge with floor to ceiling windows. Even the loo has a view. Cozy up next to the log burner or sit on the deck overlooking the lake in the summer. Original and cool art work, good sound system and a life of world travels.It's a short steep walk down to the Frankton track,then turn left and stroll down to the boat shed cafe for brunch or turn right for a 30 minute easy walk into town.Because of it's easy proximity to town taxi fares home from a night out are not prohibitive and in and around Queenstown there's always plenty going on. We look forward to welcoming you. Lovely, funky artists house with everything you'll need for your stay. Beautiful view and Ela was wonderful and helpful to work with. A little bit quirky in a nice way. Everything you would need was in the kitchen. Lovely view especially from the loo and shower. Good location and for a small group this would be a perfect place to stay. Good location and for a small group this would be a perfect place to stay. The house is well equipped and located and hosts a pleasure to deal with. One issue is that the bathroom is between the main living space and one of the bedrooms and one must go through the bathroom to reach that bedroom. This obviously adds a layer of inconvenience to the stay as one cannot go to bed, go to their bedroom or get up in the morning when someone is in the bathroom! This house is not for everyone because it is unusual and not contemporary, but it is as described "an artist's home". We absolutely loved our stay there and it's quirky style, charm and view. We could have stayed a week just to listen to the great selection of CDs available. We especially enjoyed Noel's CD of old New Zealand stories and another CD by Graeme James. I would truly enjoy a second visit if I could go back to New Zealand. Lovely property, the location is a little out of town but fine if u have a car. Lovely property, the location is a little out of town but fine if u have a car. The views are great, just could be a little cooler In 2 of the bedrooms.